Sydney Design & Landscape Creations is a very experienced landscaping company holding a wide range of trade skills within a small team, minimizing the use of outside contractors. Our projects range from structural landscape design and constructions to renovations and gardens. We specialise in designing and constructing outdoor living and entertaining areas to suit your lifestyle. We provide high standards in quality and workmanship, working closely with the client throughout the project. 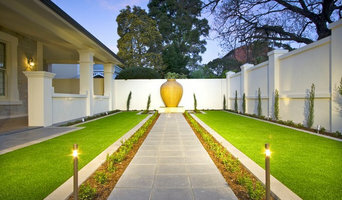 Sydney Design & Landscape Creations can handle all size of landscape projects. We provide an ongoing maintenance service on the newly built projects to ensure the upkeep of timber work, stonework, garden work for its future. We have an in depth knowledge of timber, i.e. hardwood decking, screening, pergolas and built in seating. Our designs involve creative and versatile entertaining areas. We provide 3D images and concept designs as part of our service during the quotation. Sydney Design & Landscape Creations will design and construct your dream project ensuring that all your requirements are met to your satisfaction. A Grade Landscaping is a complete landscape design and construction company based in the Northen Beaches. We specialise in large scale, complete landscaping solution, from initial consultation and design, through to construction. The strength of our designs has enabled us to maintain a high standard of work on the residential landscaping market. Our trained staff embrace each project with passion & bring a designed environment to life with the use of creative products and plant selection. At A Grade Landscapes, our aim is to transform and create spaces our clients enjoy, with our comprehensive range of landscaping solutions. Whatever you envision, we will create as we have the skills and expertise to execute any garden design brief. Pro Synthetic Surfaces brings together a team with over 25 years of experience in the synthetic turf industry. From small residential jobs through to large commercial, council and school projects we have the expertise and knowledge to install any sports surface or landscape product. From short pile non-directional sports surfaces too long pile landscaping products we have a range of synthetic grass products to meet your requirements. We service all of NSW with our main service areas running from south of Wollongong to north of Newcastle and the greater Sydney and Central Coast areas. Original Outdoors has over 17 years experience in Landscape design and construction and takes great pride in creating stunning usable outdoor areas built to stand the test of time designed with the clients needs in mind. Our design and installation team has over 40 years experience in delivering beautiful and imaginative installations. 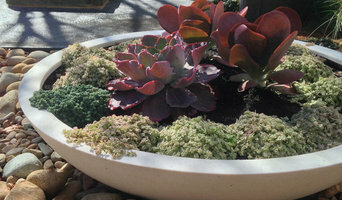 Our designers provide a unique landscape solution, the envy of others. Vertical gardens are bespoke and plants chosen just for the location by our horticulturalists. We are installers and suppliers of Premium Quality More Natural Looking Synthetic Grass, that is soft and luxurious to walk on, servicing all areas of Sydney. At Green Look our aim is to achieve the best possible realistic result for every single one of our clients, by using a quality product to suit any budget and application.We pride ourselves on a range of Premium More Natural Looking synthetic turf to suit everyone. With over 40 years experience in the landscape and nursery industry, we can guarantee you will be more than happy and the envy of all your neighbours. We can create unique and practical solutions for indoor, outdoor, homes, playgrounds, dog grounds, restaurants, and offices. Projects are designed for minimal care and maximum enjoyment. With an emphasis on innovative design, attention to detail and a professional service, HOLLANDSCAPES creates beautiful exterior spaces to suit your budget. With more than 15 years experience in the industry here and abroad, HOLLANDSCAPES delivers a practical and reliable service to all landscape projects big or small. Hi I'm Robbie. Welcome to Gecko Plantscapes. As a Registered Horticulturist and having over twenty five years experience working with Sydney native plants and habitats, I have a special interest in vegetating green roofs and green walls. I design, manufacture, install and maintain vertical living walls and green roof spaces for residential, commercial, urban or local council projects. I'd love to share my passion with you to create a space you'll love. With over 10 years experience, we are a landscape construction business that works with you to achieve the landscape of your dreams. Evoscapes loves to deliver a full Landscape project from the back yard where all your privacy is enjoyed to the front yard where you want to make an impression as you welcome people in. Making a blank canvas in to an art of Landscape surrounding your place of rest, relaxation and entertainment is what we enjoy most. Building on a dream and making it come true can take some time to put together, as we want to make sure you are over the moon with every second you spend outdoors at your home. We pride ourselves in using the best quality workmanship, working with expert tradesman and ensuring a high quality product delivered in a professional manner. As your landscape evolves you can also be assured that our team will remain present, enthusiastic and easily contactable. Contact us for your quote today. We look forward to hearing from you. Featured Landscapes is a licensed structural landscaping company that specialises in all aspects of landscape construction. Our aim is to create stunning and practical landscapes with exceptional attention to detail. We take particular care when it comes to the structural integrity and longevity of your outdoor space and maintain a professional approach to our work. 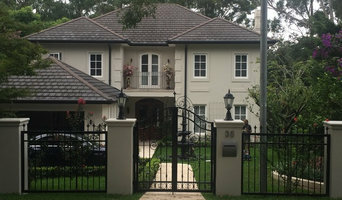 Featured Landscapes is rapidly developing a great reputation around Sydney with a growing list of highly satisfied customers. Horizon Landscapes is a full service, professional landscape design, construction and maintenance firm in Sydney, New South Wales. With a reputation for strong work ethics, a clean working site, honesty and attention to detail, helps Horizon Landscapes stand apart in a crowded market. Drawing on experience gained over 13 years, the team concentrates on solving your landscaping problems by providing advice and assistance on all landscaping matters. By providing high customer satisfaction, Horizon Landscapes can help its client achieve their landscaping dreams. We are a dedicated team of professional bespoke garden creators with experience who work closely with you to ensure you get full use out what you want from your outside space. We like to think we add value and purpose to your investment. Whether you own or rent the space, large to very small. We can provide most hard and soft landscaping requirements to transform your space outside. We cover all aspects of garden or landscape requirements from construction, project management, design and even maintenance over given periods of time. Our aim is to develop work that is stimulating and responsive, diverse and creative. To provide an efficient and comprehensive landscape solution to fit any lifestyle or budget. We strive to ensure that our approach and design trough construction solutions are sympathetic, relevant, distinctive and resonant. What can a Bondi, New South Wales landscape contractor or gardener do? 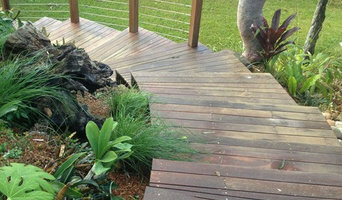 Find landscape solutions and Bondi, New South Wales gardening services on Houzz. Scroll through this page to find professionals that offer landscaping and gardening services in your area. You can browse their latest projects, read reviews and see how other homeowners rate their work, and message them directly.